Review Copy from HMH Co. 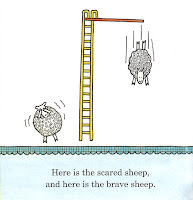 This book came out in 2004, the year my youngest was born, and I remember snapping it up the minute I saw it. 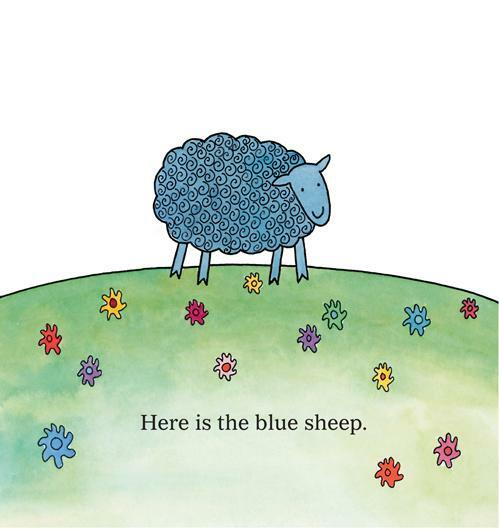 I was already familiar with Fox's books and her gift for playful rhymes and Where Is the Green Sheep? proved to be - and still is - my favorite book of hers. 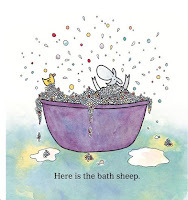 Now that I am an elementary school librarian working with emerging readers, I am thrilled to be reminded of Fox's book again, as it is on par with any book by Dr. Seuss when it comes to learning to read, especially since it's quite a bit shorter! 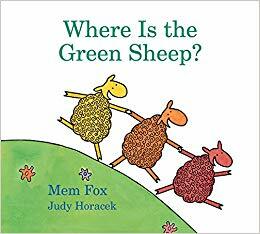 The fun of Where Is the Green Sheep? is Fox telling readers everywhere that the Green Sheep IS NOT. In doing so, she covers all the people, places and things that littler listeners love (and emerging readers will be able to identify with picture clues). 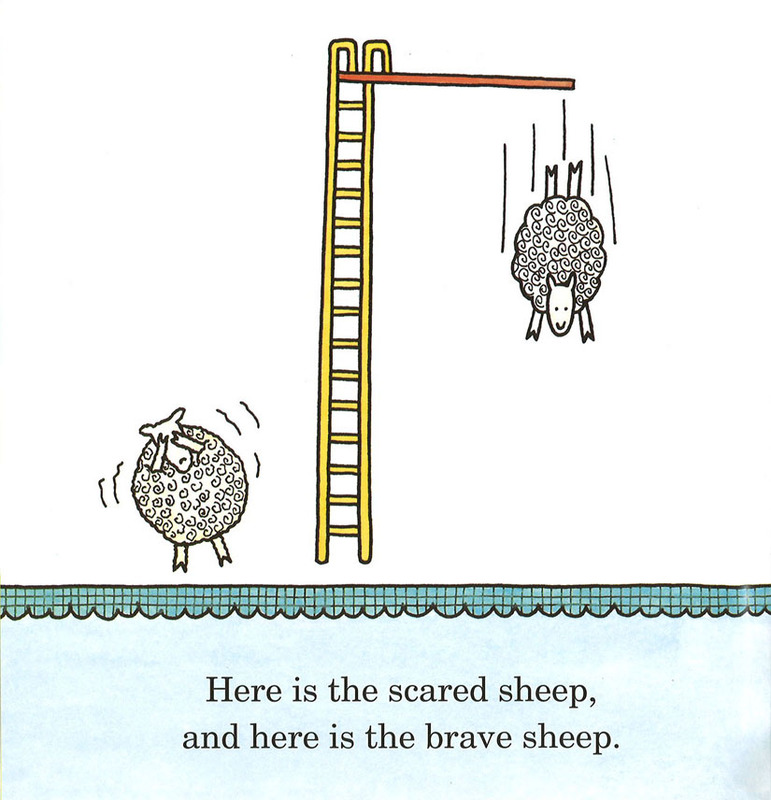 There are sheep in bed and sheep on swings, thin sheep and wide sheep, and slide sheep. They play instruments, juggle, sunbathe and dance in the rain. And there is a fine array of things that go, from trains to cars, to bicycles and parachutes. 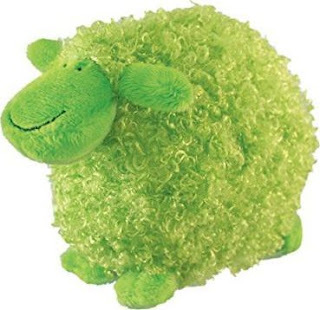 But no green sheep. 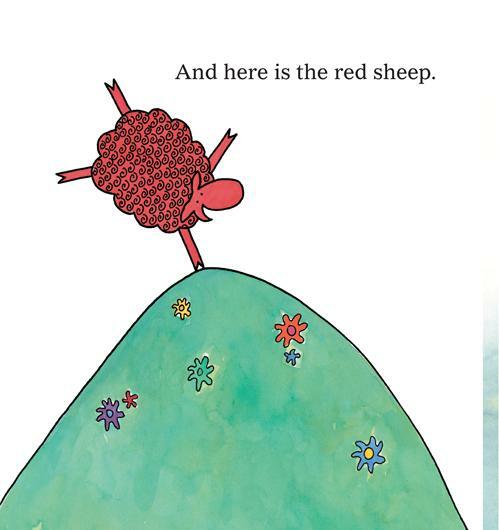 I love this book too! I love how it doesn't shy away from big words, and how the rhymes are well-written. The language is straightforward, but not simplistic or patronizing. 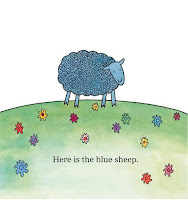 At the beginning, it seems like it's going to be a boring, bland book about different sheep being different colors, but then it goes off in so many different directions that it stays fresh and interesting, even for adults reading it to their children.